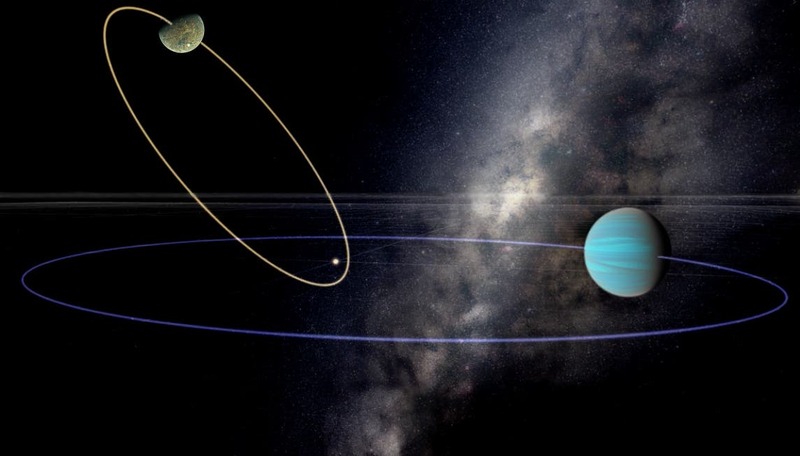 A "chaotic Earth" could exist in a planetary system in which a neighboring planet has "year" that is an integer multiple of another planet's "year," and if the orbital planes are not aligned. The affected planet's orbit can become very elongated and even flip all the way over, such that the two planets are revolving in opposite senses. These planets would have unpredictable climates, perhaps becoming inhospitable for millions of year at a time. Here, the potentially habitable planet is perturbed by a Neptune-mass planet on a three-year orbit and has an elongated orbit, which would make it relatively hot. As such it is mostly dry, but some seas remain, including one which contains the stellar glint, a feature astronomers will look for as it reveals the presence of surface liquids.